A delightful, recently released Navona Records CD arrived at the office last week. 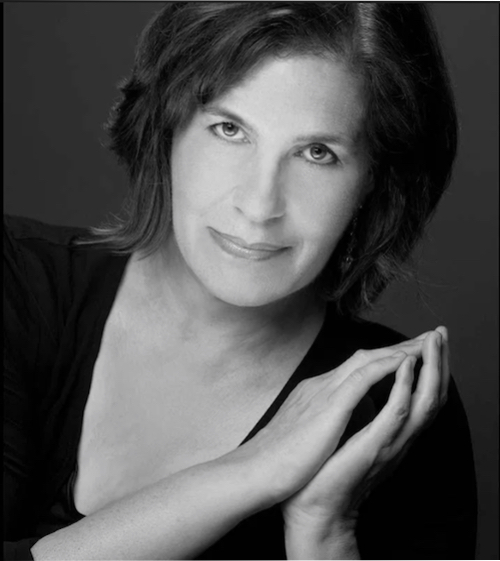 The latest recording by Brooklyn-based, Serkin-trained pianist Beth Levin called Bright Circle. Bright Circle contains masterpieces of Romantic piano literature by Schubert (Sonata No. 20) and Brahms (Variations and Fugue on a Theme by Handel), and a wonderfully passionate, neo-romantic piece for solo piano, Ode to Music (2015) by American composer David Del Tredici (b. 1937). Levin has a fluent technique, produces gorgeous tone with refined musicianship and has bold musical ideas. Throughout the album, ‘gumption’ is what came to mind. Levin has her mind set on the musical images and story arc she wants to convey. And with her gifts, it’s a rich listening experience. Even though Schubert's Sonatas are set in the Romantic era, their feet seem firmly set in the late Classical era. Precursors of Schumann and Chopin, they’re not. Yet, they need a passionate soul to communicate their genius to the audience. Poor playing, and there is some about on CD, makes the Schubert Piano Sonatas four-square, plodding, even. Levin interprets his 20th Sonata with both great flair and with gravitas. It’s akin to late Beethoven but the listener does receive a distant glimpse of Schumann. Levin dreams when tempted by Schubert but offers great urgency in the outer movements. The final movement, with its glorious main theme, is given a superb performance. You’ll be smiling throughout. The story is much the same with the Brahms. I got to know this piece intimately while a student at Trinity College of Music, London acting as host/page turner during a college competition. Sixty performances and it never got old. Brahms pulls out all the stops. The large canvas is full of Brahms’ invention, rhythmic brilliance and musical connections. It ends with an appropriately grand fugue. Rather than a long series of ‘watch my hands’ technical bravura, an approach that afflicts many pianists in this piece, Levin takes the masterpiece as a grand design. As such, the musical arc is never severed. After Handel’s simple, beautiful theme (called Aria), which has a couple of technical tricks up its own sleeve, Brahms gives us 25 variations and then the fugue. The contrast is wonderful and Levin takes every challenge in her stride. A very fine performance. Del Tredici’s Ode to Music is a beautiful work—rhapsodic and romantic in style, but adding a modern twist at unsuspecting moments. Del Tredici subtitles it A Fantasy Transcription of Franz Schubert's Song 'An Die Musik'. It’s a really good discovery and a tonic for those of us who love modernity but like a tune now and then. It receives what should be the definitive performance. And with that, Levin brings this exceptional recital to an end—a classic repertoire recital of masterpieces with a twist in its coda. Bravo! The recording is exceptional. You will feel the weight of the piano at full kilter. Levin’s beautiful touch is heard easily; it’s so tactile. And the recorded space is lovely, with perfect resonance around the instrument. Audiophiles, take note. A piano record such as this should be in your ‘impress how good my system is’ library. Highly recommended.